How do you find wedding jewelry that doesn’t cost an arm and a leg? It’s entirely possible to dress for a dazzling wedding on just a couple hundred dollars, rather than several thousand dollars. The jewelry industry doesn’t want you to know it, but you spend just a bit of time on finding affordable jewelry, you can drastically cut down on your wedding jewelry costs. How do you do it? Getting a piece that’s pure gold costs a lot of money. The same goes for silver. Instead of going for full gold, you can just get a piece of jewelry that’s gold coated. To most people, it’ll look exactly the same. 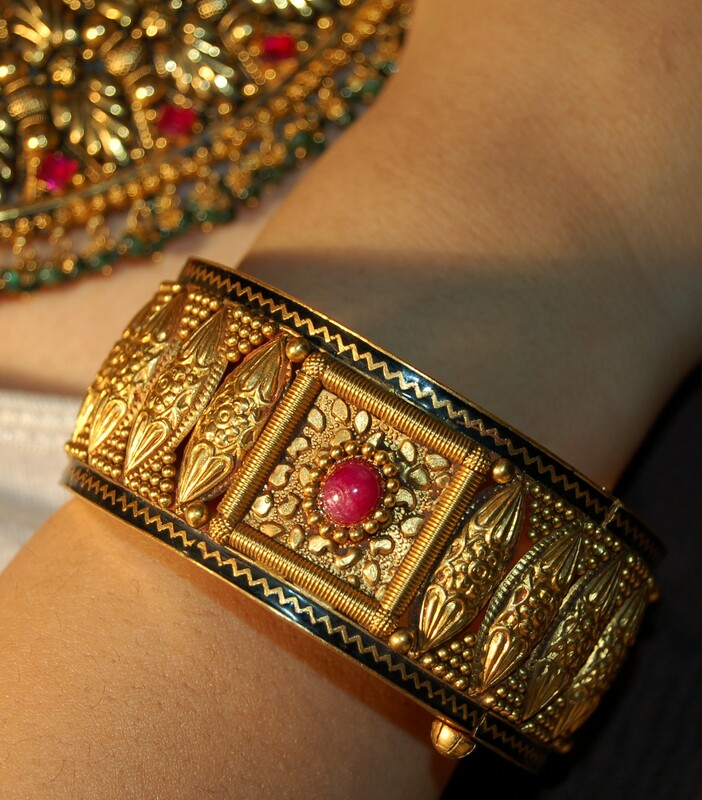 Very few people can tell the difference between a pure gold item and a gold-coated item. On the outside, it’ll look almost identical. If you should accidentally scratch off part of the gold surface, people will be able to tell that it’s gold coated. If you’re careful, however, most people will never know. Note: Do make sure your jewelry is coated in real gold. Real gold coating costs a little more but makes a real difference. The price you see on the window or on a piece isn’t necessarily the price you have to pay. There’s always some negotiation room. One common way to get a good deal is to offer to buy more than one piece. If there’s one piece selling for $170 and another for $190, see if you can get both together for $300. They’ll often be willing to budge a little bit to make a sale. If you can make a comparable comparison, tell them what the dealer down the street is selling something for. For example, if you’re looking at a plain gold band for $130 while someone down the street is selling it for $90, say so. Finally, don’t be afraid to walk away. If you start walking away, they’ll often give you a final offer. If they don’t, and you really like the piece, you can always come back. The internet can be an incredible place to save some money. You can literally get items for 30% to 70% less than you’d pay at a retail store. For something custom made or for something of guaranteed quality, check various jeweler sites. To save money, however, go to various discount sites. Double check the return policy on any item you buy online. Make sure you can return the piece if it doesn’t match your expectations. One common way retailers get people to pay too much is to charge them more for a matching band. For example, you might find the diamond that you truly want. The diamond might be quite reasonably priced. When they add on the matching band, many consumers never stop to think about whether or not it’s a good deal. More often than not, it’s not. Instead of buying the matching band, just buy the diamond and buy a separate band and have it set. You’ll often save a lot of money. For some reason, people who’re on a budget will still frequently walk into high end jewelry stores. They go in “just to take a look” or to “see what’s out there.” This is a terrible idea. For one, you’re just torturing yourself. You’ll make yourself feel like you’re missing out, or that your jewelry isn’t as good. If you’re not going to buy high-end jewelry, there’s absolutely no point in window shopping. Even worse, however, a lot of people manage to convince themselves to buy things they really can’t afford. This is a huge mistake. The best way to avoid this mistake is to simply make sure you don’t walk into stores you can’t afford in the first place. 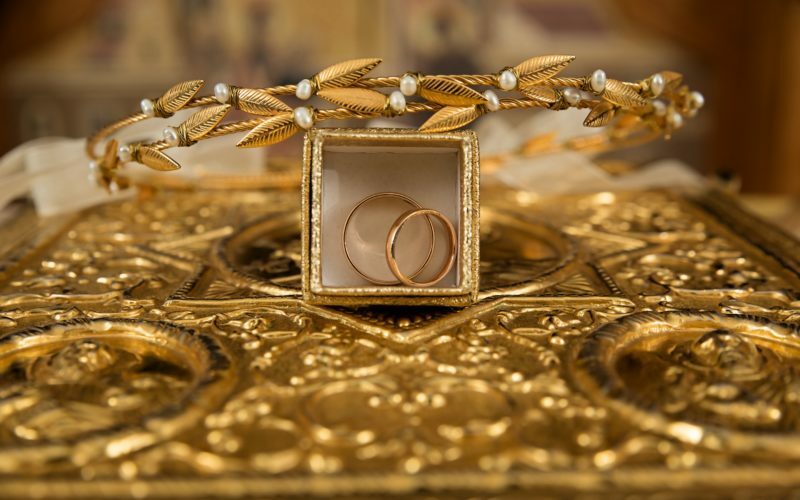 These five tips will help you save money on your wedding jewelry. Remember: You don’t have to have a huge budget to have a fantastic wedding with great looking jewelry.